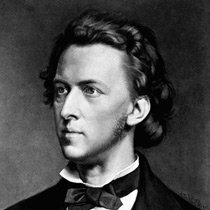 Frederic Chopin (or Frederick) was one of the great piano composers of the 19th century. His sensitive, subtle piano music touches audiences in a profound way. He was a celebrity piano teacher in Paris, well-connected with all the top musicians and artists. But he died young, after years of illness and a loss of recognition. I really like Chopin's music. I find it highly unique and thought-provoking, and most listeners find it generates very strong emotions. Frederic Chopin was born in Poland in 1810 to a French father and Polish mother. He was a child prodigy on the piano. He decided to venture off into the European musical world at a young age, and settled in Paris. His unique playing style and virtuosic talents quickly made him a minor celebrity. He settled into a comfortable life of teaching wealthy students and composing. He lived in Paris the rest of his life. In Paris he met George Sand (the pen name of a woman), who was a bit of a crazy feminist author. She and Chopin became lovers for the next several years. But Frederic Chopin was also constantly ill. He had many periods where he was so dangerously sick that newspapers reported he was dead. How horrible! Eventually Chopin and Sand's relationship broke down though. Their personalities were too different. Chopin went to travel around Britain a bit in 1848 to escape the bad associations he had with Paris. During his tour of England and Scotland, he became weaker and weaker, and the public were less interested in him. He returned to Paris a poor and lonely man, extremely sick. Frederic Chopin died that same year, aged thirty-nine, of tuberculosis. 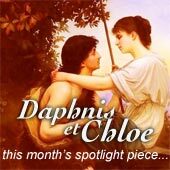 Click here for a much more detailed Chopin biography. All of Chopin's music, apart from two piano concertos, a collection of songs in Polish, and a couple of chamber pieces, was for solo piano. People asked him why he didn't try his hand at symphonies or operas. But all he said was that he wanted to stick to piano. 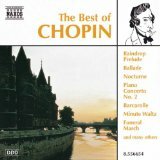 Chopin's piano music has a very unique sound, which is best described as highly poetic and refined. The melodies are superbly lyrical, and effortlessly paint musical pictures of powerful feelings. His music is a perfect match to the way the composer actually played the piano. People who saw him play say that he had an extremely smooth and fairy-like touch. This has made his piano pieces have a very distinctive sound and feel. Chopin took traditional dance forms, like waltzes and mazurkas, and made them much more expressive and sophisticated. The results weren't really meant to be danced to - I'd like to see people try dancing to one of Chopin's waltzes! He also expanded new (at the time) genres, such as the Nocturne, Prelude, and Ballade. He turned the Etude ("study") into emotionally expressive showpieces (which are still ridiculously difficult to play!). His Polonaises are lively and patriotic celebrations of Poland, while his Preludes broke with tradition, and are excellent examples of the composer's ability to create moods in very short pieces. 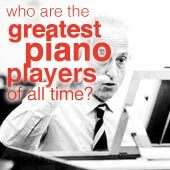 Click here for a much more detailed look at all the Chopin music, including a list of famous works! Frederic Chopin wrote moving and graceful music in his own unique style. Tragically he died young, but in his short life he enjoyed admiration and the company of Paris high society. Still, his touching music lives on, and I hope you are moved to explore more of the beautiful works of this great composer! A full Chopin biography, with a more in-depth look at each period in the composer's life. A more detailed look at all of Chopin's music. Discover the beauty of Chopin's Waltzes. 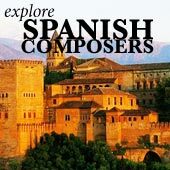 Chopin's Funeral March is one of the composer's most well-known pieces, and one of the melodies which has permeated world culture long after the composer's death. The patriotic Chopin Polonaises, homages to Chopin's beloved Poland. Learn about each and every astonishing Chopin etude, the composer's legacy to piano students. The miniature Chopin preludes, each a tiny music painting of an idea or mood. The enchanting Chopin nocturnes, delicate pieces evoking night. These are some of the best examples of Chopin's unique piano style. The Chicago Chopin Foundation is putting up a wonderful statue of Chopin in downtown Chicago. The statue is a copy of the famous Art Nouveau Chopin Monument in Warsaw's Royal Baths Park, and its aim is to help America rediscover Frederic Chopin and his timeless legacy. They're planning to have free concerts underneath the statue, so if you are interested I encourage you to visit their site and support the project!